Under a blanket of snow, a woman and child huddle together at the foot of the Wallenberg monument. The monument stands in the park of Haga Church, in the centre of Gothenburg. This is my photo of the week this week. It was originally published on 1st February 2014 at my now sleeping photoblog, GBG365. 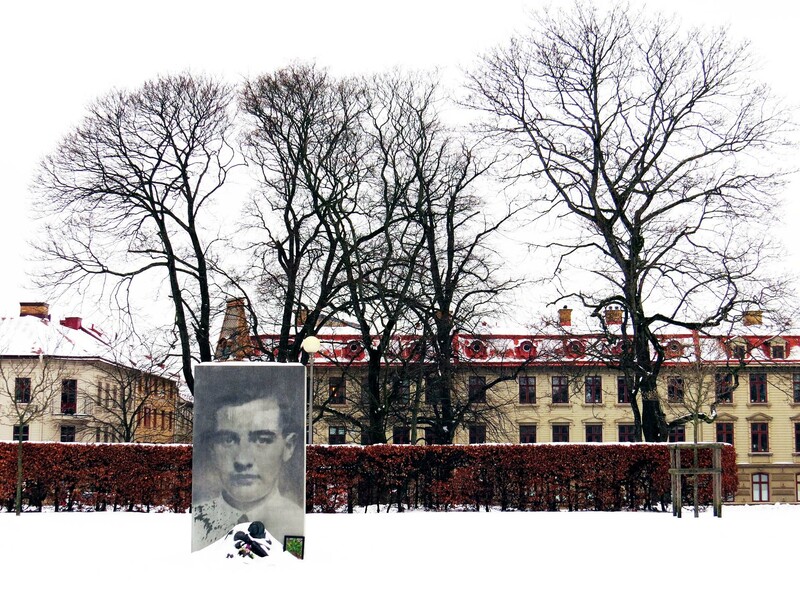 Raoul Wallenberg was a Swedish diplomat in Budapest in the closing stages of World War 2. Through his efforts – and the support of a small group of other foreigners and Hungarians – he helped save the lives of thousands of Hungarian Jews. The Nazis and their Hungarian allies were attempting to move the Jewish population of Hungary to the death camps. Wallenburg and his team issued Swedish documents and set up safe-houses and so rescued as many as they could. 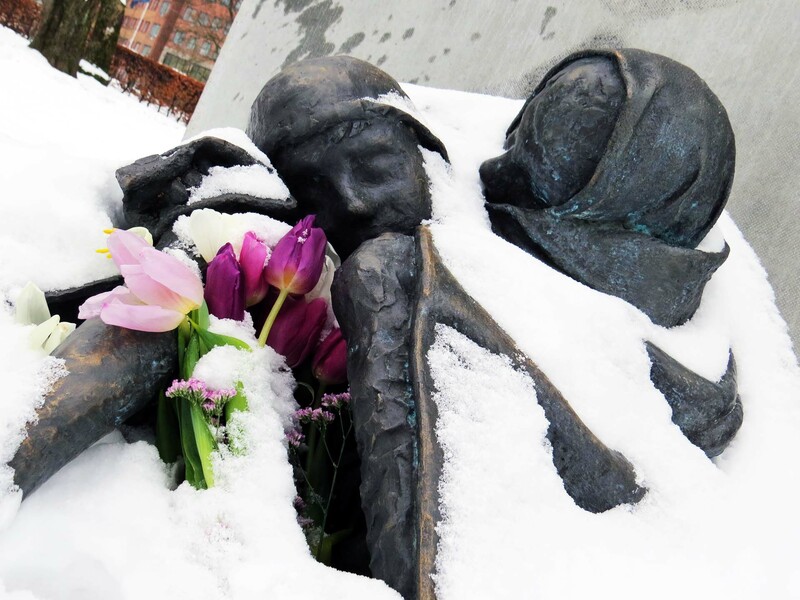 I took this photo, and the one below, on 30th January 2014, so the tulips must have been laid on the monument on the 27th, Holocaust Memorial Day. I’d intended to post an appropriate photo actually on the 27th, but had nothing at the time. The sculptor of the whole memorial – including the little group above – is sculptor and installation artist Charlotte Gyllenhammar. The monument was set up in 2007.